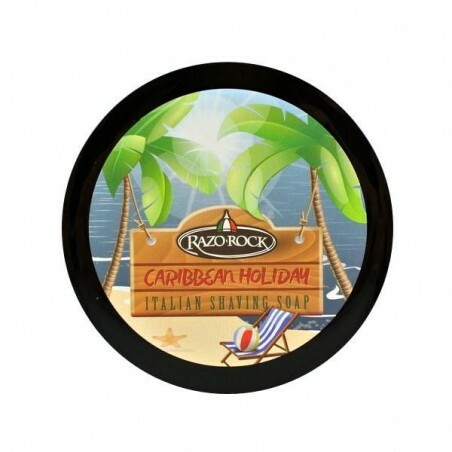 RazoRock Caribbean Holiday Shaving Soap 150ml. Artisan soap with a Tallow, Shea Butter, Argan Oil, Aloe Vera and Lanolin base. All basic ingredients for a comfortable shave and optimum slide of the blade. 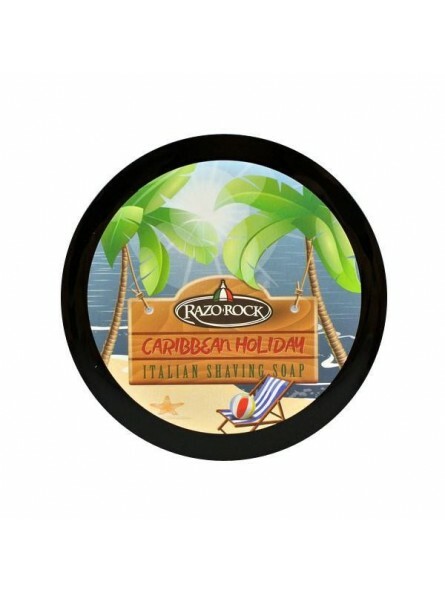 Its soft texture generates a generous lather that is maintained throughout the shave. Caribbean Holiday takes you to the white sands of the Caribbean. Sun, sand, warm breezes, coconut, pineapple and rum…An unforgettable sensory experience in which rum, pineapple and coconut are very much present. Made using artisan methods in Italy.